First of all, I can't believe it's taken me over a month to share this exciting news. I've been in babyland for 5 weeks now and am just now coming up for air. That being said, it's weird typing on a keyboard again and trying to come up with words that make sense. My brain is mush, so please bare with me. I had to miss the ADDY Awards ceremony this year because I was literally giving birth to our son when the event took place. I know that's a terrible excuse, but it's all I got. That being said, I am so excited to be included in the 2015 ADDY Winner's Reel. View the video below. What an honor it was to receive two American Advertising Awards this year: A Gold ADDY for the Local Goodness Farm-to-Table campaign for USA Children's and Women's Hospital and a Silver ADDY for the "Mind, Body, Spirit Campaign" for UMS-Wright Preparatory School. What a treat it was just to work with these wonderful clients. I poured my heart and soul into both of these projects, and am so proud of how they turned out. 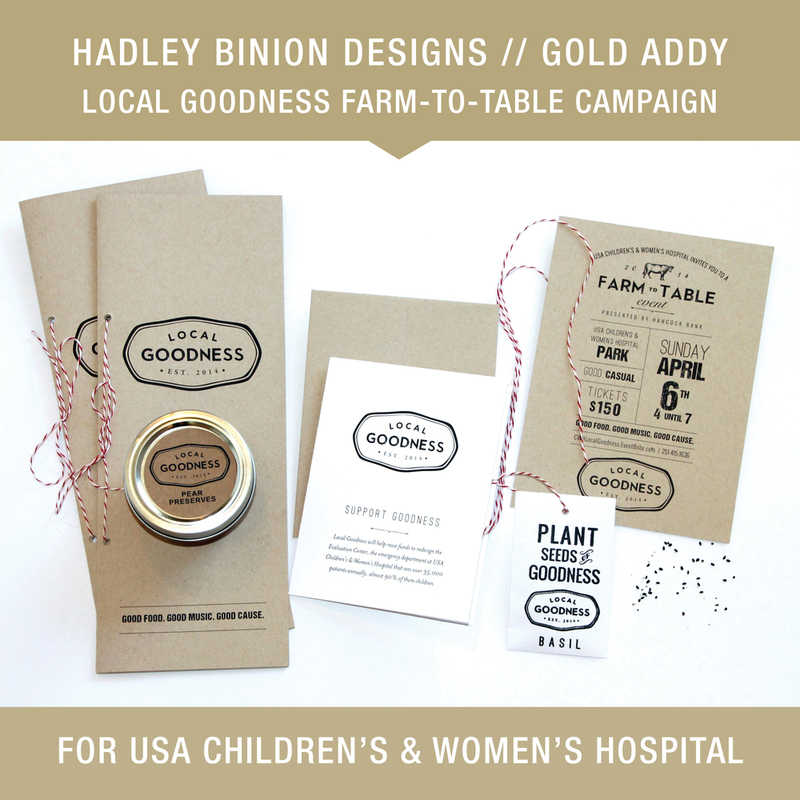 Click here for more details on the Local Goodness Farm-to-Table campaign for USA Children's and Women's Hospital. Read my previous post about this project here. 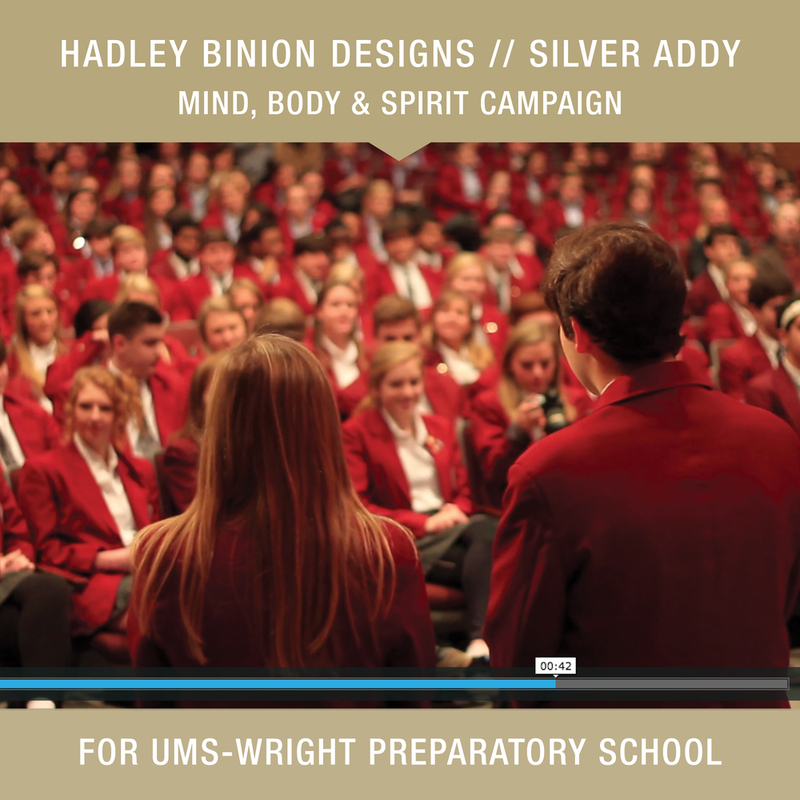 And I'm thrilled that we received a Silver ADDY for the "Mind, Body, Spirit Campaign" for UMS-Wright Preparatory School. View the videos below or on the UMS-Wright website. A huge thanks to the AMAZING and TALENTED Cari Searcy with All Good Creatives. Without her, none of this would have been possible. We tried our best to capture the heart, soul and spirit of this wonderful school (which is not an easy task to do in 60 seconds), and I'm so proud of how it turned out. We absolutely LOVED working with the fabulous team at UMS. Seriously one of the most fun projects I've ever been a part of...belly laughs every day. And finally, here is my post from last year's ADDY Awards. This is one of my favorite posts on this blog so far because I focused on what really matters when it comes to my career, what awards like this really mean to me, and what it took for me to get here in the first place. I wish I had time to reflect more on this, but since my feelings really haven't changed since last year, this post is still so true and real today. I'm loving this time with my babies right now (kissing those chubby cheeks never gets old), but I'm also looking forward to returning back to work in May. Adjusting to TWO kiddos is pretty much what I expected (and much more!) — definitely double the work and double the fun. And I repeat, double the work. I'm trying to soak in every moment because they really grow up too fast. I could cry (and do often) just thinking about it. I'm grateful to work with such wonderful people and that I love what I do. So much to be grateful for...God is so good. Always an honor to be invited to the ADDY awards. I won't be able to be there in person this year, but can't wait to share with y'all what we won! 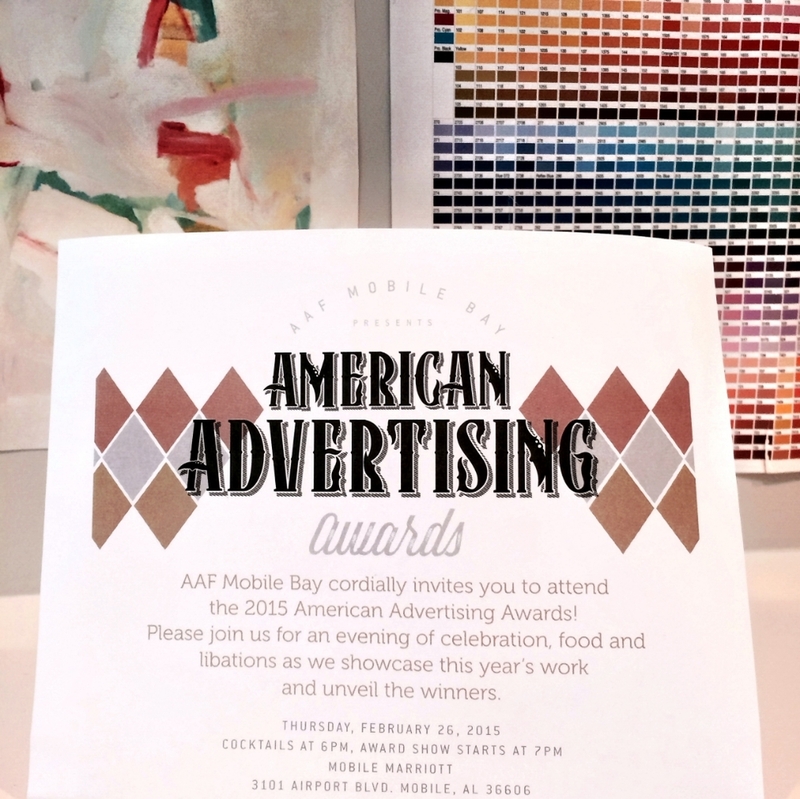 CLICK HERE to see last year's post about the ADDY Awards! Kinda scary to see yourself on this silly "pink" carpet. But, oh well—it is what it is! I accepted both ADDY awards for my client, Roberts Brothers, which is the largest real estate company in South Alabama: the first Silver ADDY Award for Product or Service Sales Presentation and Silver ADDY Award for the company’s television commercial, “Finding Your Dreams a Home”. We recently launched their new website and company intranet. NOT a small feat believe me—both took at least 6 months to complete. Check out there new home search. Our goal was for this site to have the best home search in South Alabama. View the award-winning TV commercial here.